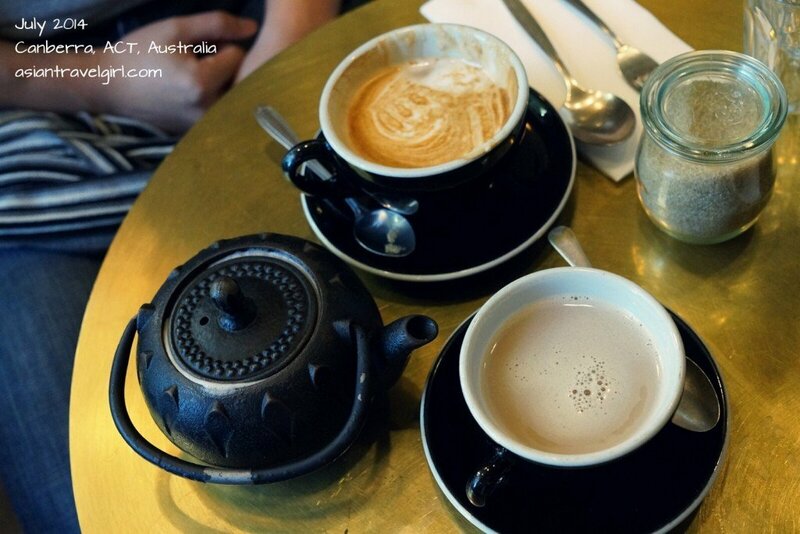 Fabulous espresso bar for organic food lovers! 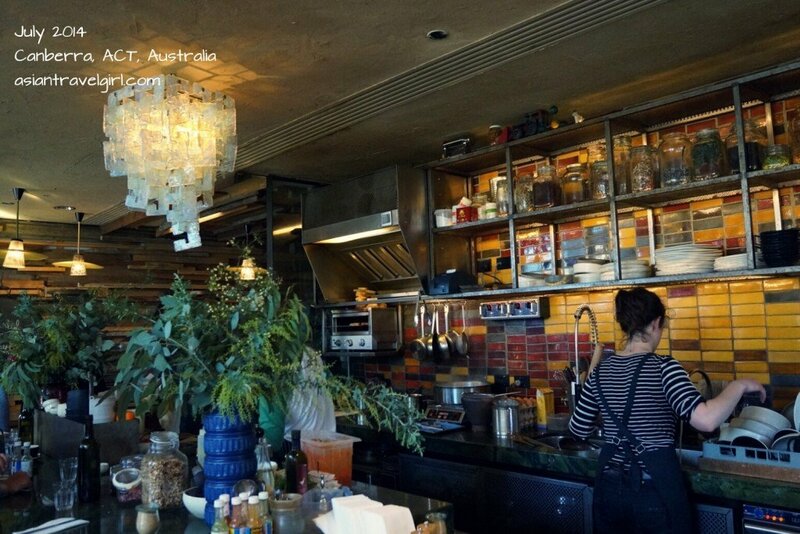 Mocan & Green Grout has an open floor plan with open kitchen area where the food are served in front of your eyes to ensure the highest hygiene standard. It was quite cramp inside though. York and I were squeezed onto a little table. 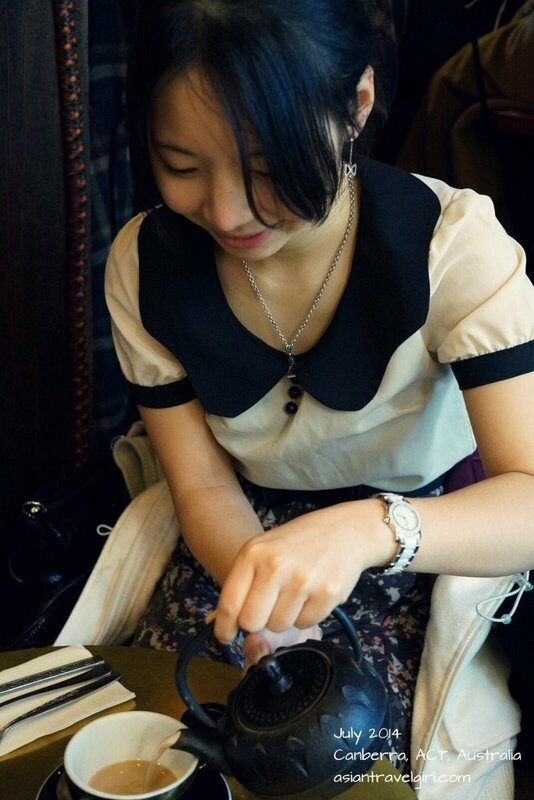 I noticed quite a few people with their laptops and notebooks while having their food and coffee. There weren’t a huge selection of breakfast food, most of them were egg-inspired dishes. They change their menu according to the seasons, we ordered “Smashed eggs mushrooms goats curd” and “Tripoli baked eggs, hummus, spiced radish, yoghurt” from their winter menu. 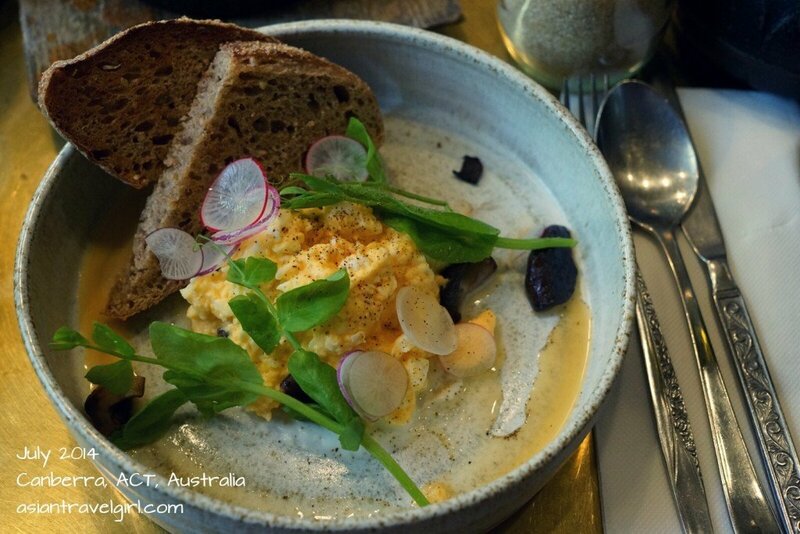 Their eggs are free range from a farm near Temora, other ingredients are freshly sourced from local areas. They even grow their own herbs in the planter at front of their door. Exterior of Mocan & Green Grout with many herbal plants growing on the outside of the cafe. I recently found out that I get pimples if I drink espresso, so I decided to have chai latte instead. However they only have chai tea mixed with bonsoys which I thought was pretty interesting. York had a regular flat white. The tea came in a cute but heavy tea pot and it tasted like the Masala chai tea I had in Nepal. When our orders finally came, I was a bit disappointed at the portion for the price we paid, especially my smashed eggs mushrooms goats curd. Luckily both dishes came with 2 pieces of bread, which kept me hunger-free for the next hour or so. 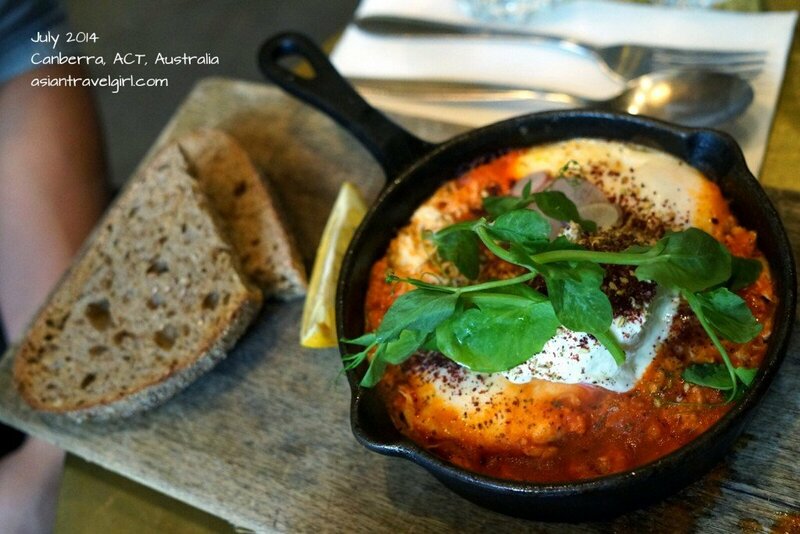 The dishes were beautifully plated, it was easy to take nice Instagram photos of them 😛 York quite liked his Tripoli baked eggs, he said it was fulled with flavours and the hot mixture made it easy to dip with bread. My eggs were cooked first and then smashed into little pieces, so it is more than just scrambled looking eggs. The dishes were quite small, so we finished our meals in no time. Since the kitchen was in front of us, we ended up watching them preparing food and discuss our thoughts about the cafe. 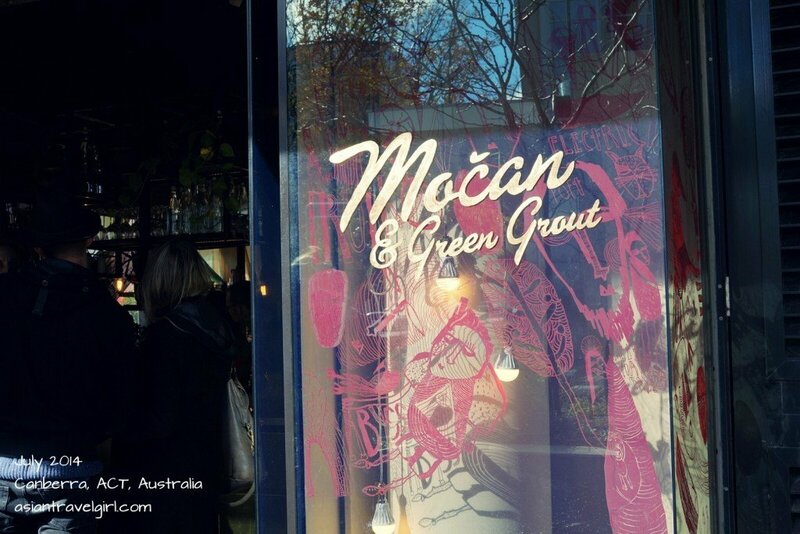 Mocan & Green Grout is quite similar to ones you get in Melbourne’s alleyways. The open kitchen is a good idea for people to see what is going on, the downside is that you can hear all the washing of dishes, etc. Which is quite disturbing for me. Personally I prefer somewhere quieter for meals, not in a bustling cafe. 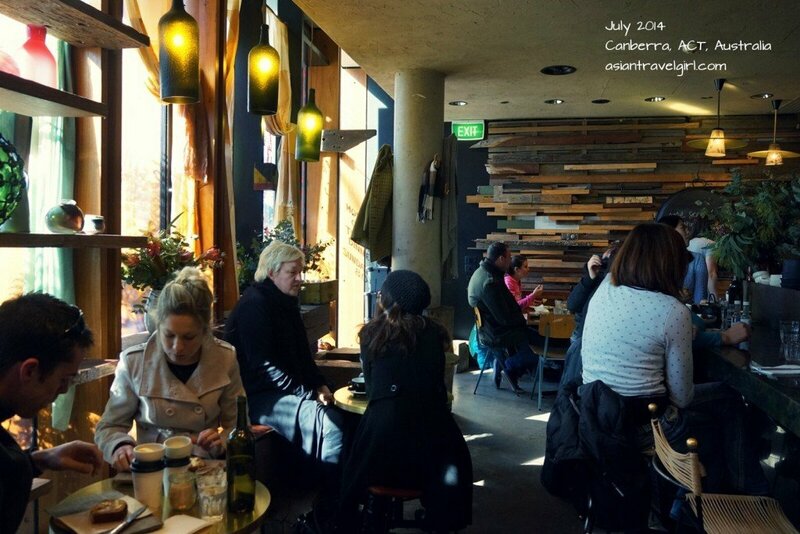 However if you like organic produce and artisan style designs, this cafe is worth a visit if you are in Canberra. 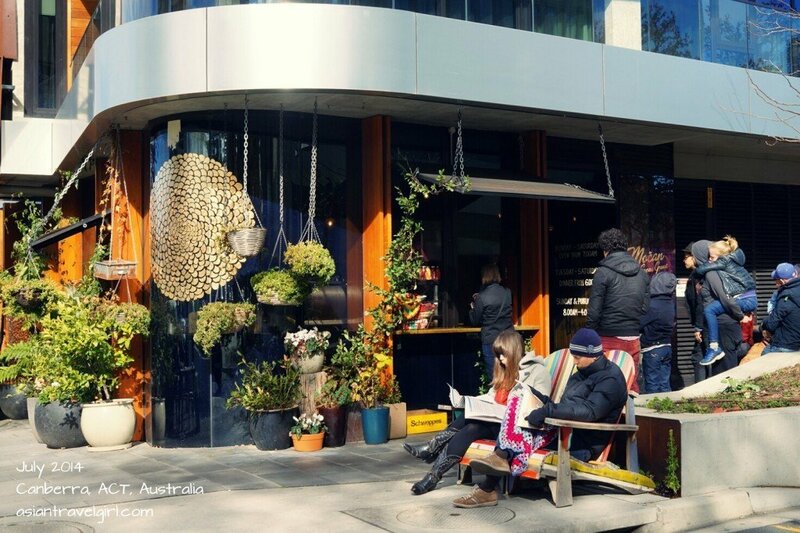 After brunch, we had a walk in this newly developed NewActon area. I love the atmosphere here and how it is only 5 minutes walk from the lake. Apparently the cafe next door is quite nice too, hopefully we can come try it in the future.